Tongli is a Research Associate in the Department of Forest and Conservation Sciences and Associate Director of the Centre for Forest Conservation Genetics at the University of British Columbia. His major research interests include: 1) developing climate models; 2) projecting bioclimate envelopes of ecosystems and species ranges for future climates; 3) building climate response functions for tree populations; and 4) developing a climate-based seed transfer system for BC. Output from these studies are being used for the AdapTree project. The climate models, ClimateBC and ClimateWNA, downscale and integrate historical and future climate data into one package. They also generate a large number of additional, biologically relevant climate variables. These models have been widely used as essential tools for climate related studies in BC and western North America. The scale-free climate data generated by these models have served as basis for a variety of modeling studies. 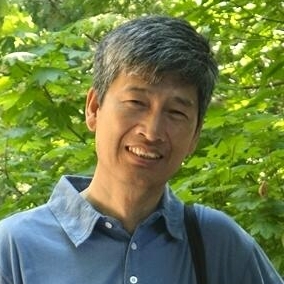 Tongli has modeled BEC units and species ranges using climate variables and has projected the shifts in their bioclimate envelopes for future periods. These models are critical for climate change impact assessments and for developing adaptive forest resource management strategies. A powerful machine-learning modeling approach is used to ensure modeling accuracy. Consensus projections are used to cope with uncertainty associated with multiple climate change scenarios. Climate response functions have been built for Lodgepole pine populations based on a comprehensive provenance test. The response function of a population can be used to identify the suitable climate for that population. As the response functions are population specific and only valid for the populations tested, a universal response function has also been developed to identify suitable climates for any given population. The most direct impact of climate change on forest trees is probably the mismatch between the climate that trees have adapted to and the climate that trees are going to experience. A climate-based seed transfer system is expected to be an effective way to overcome this problem. The projected bioclimate envelopes for BC ecosystems are being used as the basis to develop the climate-based seed transfer system to help trees catch up to the climates they have adapted to. Fettig, C.J., Reid, M.L., Bentz, B.J., Sevanto, S., Spittlehouse, D.L., Wang, T.L., 2013. Changing Climates, Changing Forests: A Western North American Perspective. J. For. 111, 214-228. Wang, T., Campbell, E.M., O’Neill, G.A., Aitken, S.N., 2012. Projecting future distributions of ecosystem climate niches: Uncertainties and management applications. Forest Ecology and Management 279: 128-140. Wang, T., Hamann, A., Spittlehouse, D.L., Murdock, T., 2012. ClimateWNA – High-Resolution Spatial Climate Data for Western North America. Journal of Applied Meteorology and Climatology, 51: 16-29. Cortini, F., Comeau, P.G., Wang, T., Hibbs, D.E., Bluhm, A., 2012. Climate effects on red alder growth in the Pacific Northwest of North America. Forest Ecology and Management, 277: 98-106. Wang, T., 2012. Projecting Future Climatic Habitats for Red Alder Under Climate Change in British Columbia. BC Forest Professional Magazine January/February, 11. Coops, N.C., R.H. Waring, C. Beier and T. Wang. 2011. Modeling the occurrence of fifteen coniferous tree species throughout the Pacific Northwest of North America using a hybrid approach of a generic process-based growth model and decision tree analysis, Applied Vegetation Science, 14: 402–414. Wang, T., G. O’Neill, and S. N. Aitken. 2010. Integrating environmental and genetic effects to predict responses of tree populations to climate. Ecological Applications 20: 153-163. Schroeder, T. A., A. Hamann, T. Wang, and N. C. Coops. 2009. Occurrence and dominance of six Pacific Northwest conifer species. Journal of Vegetation Science, 21: 586-596. Mbogga, M., A. Hamann, and T. Wang. 2009. Historical and projected climate data for natural resource management in western Canada. Agricultural and Forest Meteorology 149:881-890. O’Neill, G.; Hamann, A.; Wang, T. 2008. Accounting for population variation improves estimates of climate change impacts on species’ growth and distribution. Journal of Applied Ecology 45:1040-1049. Aitken, S. N., S. Yeaman, J. A. Holliday, T. Wang, and S. Curtis-McLane. 2008. Adaptation, migration or extirpation: climate change outcomes for tree populations. Evolutionary Applications 1(1): 95-111. O’Neill, G. A., N. Gordon, T. Wang, and P. K. Ottb. 2007. Growth response functions improved by accounting for non-climatic site effects. Canadian Journal of Forest Research, 37:2724-2730. Wang, T. 2006. ClimateBC: A Computer Program to Generate High resolution Climate Data for British Columbia. TICtalk, 7, 17-19. Wang, T., A. Hamann, A. Yanchuk, G. A. O’Neill, and S. N. Aitken. 2006. Use of response functions in selecting lodgepole pine populations for future climate. Global Change Biology. 12:2404–2416. Hamann, A., and T. Wang. 2006. Potential effects of climate change on ecosystem and tree species distribution in British Columbia. Ecology 87:2773–2786. Wang, T., and Russell, J.H. 2006. Evaluation of selfing effects on western redcedar growth and yield in operational plantations using TASS. Forest Science, 52:281-289. Wang, T., Hamann, A., Spittlehouse, D.L., and Aitken, S.N. 2006. Development of scale-free climate data for western Canada for use in resource management. International Journal of Climatology 26: 383-397. Hamann, A., and Wang, T.L. 2005. Models of climatic normals for genecology and climate change studies in British Columbia. Agricultrural and Forest Meteorology 128: 211-221. Bennuah, S.Y., Wang, T.L., and Aitken, S.N. 2004. Genetic analysis of the Picea sitchensis x glauca introgression zone in British Columbia. Forest Ecology and Management 197(1-3): 65-77. Wang, T., Aitken, S.N., Woods, J.H., Polsson, K., and Magnussen, S. 2004. Effects of inbreeding on coastal Douglas fir growth and yield in operational plantations: a model-based approach. Theoretical and Applied Genetics 108: 1162–1171. Wang, T., Aitken, S.N., and Kavanagh, K.L. 2003. Selection for improved growth and wood quality in lodgepole pine: effects on phenology, hydraulic architecture and growth of seedlings. Trees – Structure and Function 17: 269–277. Woods, J.H., Wang, T., and Aitken, S.N. 2002. Effects of inbreeding on coastal Douglas-fir: nursery performance. Silvae Genetica 51(4): 163-170. Wang, T.L., and Aitken, S.N. 2001. Variation in xylem anatomy of selected populations of lodgepole pine. Canadian Journal of Forest Research 31(11): 2049-2057. Wang, T., Aitken, S.N., Rozenberg, P., and Millie, F. 2000. Selection for improved growth and wood density in lodgepole pine: Effects on radial patterns of wood variation. Wood and Fiber Science 32(4): 391-403. Wang, T., Aitken, S.N., Rozenberg, P., and Carlson, M.R. 1999a. Selection for height growth and Pilodyn pin penetration in lodgepole pine: effects on growth traits, wood properties, and their relationships. Canadian Journal of Forest Research 29(4): 434-445. Wang, T.L., Hagqvist, R., and Tigerstedt, P.M.A. 1999b. Inbreeding depression in three generations of selfed families of silver birch (Betula pendula). Canadian Journal of Forest Research 29(6): 662-668. Wang, T.L. 1996. Allozyme variation in populations, full-sib families and selfed lines in Betula pendula Roth. Theoretical and Applied Genetics 92(8): 1052-1058. Wang, T.L., Hagqvist, R., and Tigerstedt, P.M.A. 1996. Growth performance of hybrid families by crossing selfed lines of Betula pendula Roth. Theoretical and Applied Genetics 92(3-4): 471-476. Wang, T.L., and Tigerstedt, P.M.A. 1996. Growth rates and phenology of fast- and slow-growing families over an entire growth period in Betula pendula Roth. Silvae Genetica 45(2-3): 124-129. Wang, T.L., Hagqvist, R., and Tigerstedt, P.M.A. 1995a. The relationships between yield and carbon fixation in selected hybrid families after crossing selfed lines of Betula pendula Roth. Forest Genetics 2(2): 77-86. Wang, T.L., Tigerstedt, P.M.A., and Viheraaarnio, A. 1995b. Photosynthesis and Canopy Characteristics in Genetically Defined Families of Silver Birch (Betula-Pendula). Tree Physiology 15(10): 665-671. Wang, T.L., and Tigerstedt, P.M.A. 1993. Variation of growth rhythm among families and correlation between growth rhythm and growth rate in Betula pendula Roth. Scandinavian Journal of Forest Research 8(4): 489-497.